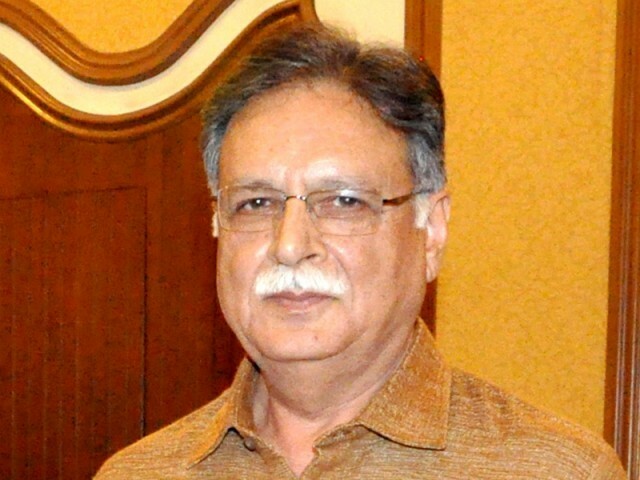 Broadcasting and National Heritage Senator Pervaiz Rashid said on Friday that Pakistan could only be strengthened by following democratic and legal path. through the vote was a lesson for the political parties, as politics of emotional slogans had weakened the country and focus had been shifted towards improving life of the people. delivered during its rule, he said adding the standard of liking and disliking would be changed. coming to power through the power of vote and completing their five year tenures, which is strengthening the roots of democracy. The effects of undemocratic rules and martial laws had waned and the issues which could not be highlighted in the past were being given attention. constitutional limits, which created problems but now they had realized that for strengthening of the system it was necessary that all institutions should remain within their constitutional ambit, he added. The minister said that the institutions could not return to their ambit within a day, rather it was a gradual process and took time. He said that the democratic system could not be strengthened by any injection or vitamins, but through democratic and legal course. He said that two largest parties of the country PPP and PML N had signed the Charter of Democracy and other parties also endorsed it. He said that confrontation between the two parties led to use of Article 58 2 B and imposition of martial law in the past, but now one government had completed its five year term while the other was going to complete its term in 2018.
had not undergone such tragedies, was trying to destabilize the system. He said that masses in the coming elections would vote for only those parties which resolved their problems. role of the establishment had also changed. He said with the support of the government, the armed forces had launched operation against terrorism which was going on very successfully. About Panama Leaks, he said that the government and other political parties wanted to do legislation on the issue. corruption impossible, and make the system transparent and corruption free and this would be best course of accountability. He said that in 2013 general election, the people of Pakistan voted for the PML N and if they were satisfied with its performance they would again vote for it. He said that several mega projects had been launched but their results were yet to come, and in the next election campaign they would be highlighted. He said that in 2018 new government would come as during past ten years sanctity of vote had been recognized. power at the Centre and the provinces,but now coordination was better than the past, though there were some complaints. country but opposition movement was there, while Bhutto’s party got foothold in all the four provinces, but he could not achieve the desired political harmony in the country. that after overcoming the scourge of terrorism, extremism, sectarianism and linguistic divisions, there were signs of improvement in the country. had increased, national festivals are being celebrated with fervour. of political parties had been effectively controlled and its recent example was separation of MQM from the militant approach and return to its constitutional role, which was outcome of democratic approach. The minister said that now the cities no longer close on strike calls and those achievements were made following political, democratic, legal and constitutional path. food, transport, employment and education would be resolved and their life style would improve, and Pakistan would become a welfare state, as envisioned by Quaid e Azam and Allama Iqbal. He said that it had been accepted that state became strong if the institutions were strengthened and judiciary and the Parliament became more independent and perform their constitutional duties in a more constructive and better manner. He said that instead of new experiments, consensus had been created to follow the trusted path to resolve the problems of masses and all institutions and political forces had accepted that fact.